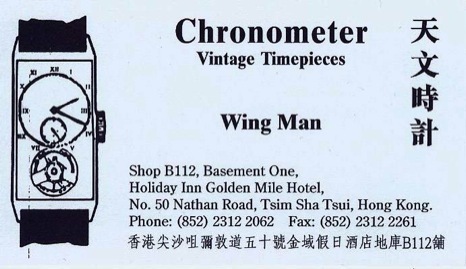 What follows is a set of short, slightly irreverent and frank (we tell it like we found it) reviews of some of the vintage watch shops that we have discovered whilst visiting Hong Kong over the years. 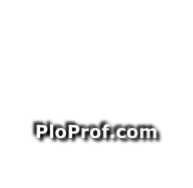 The original article was written in mid 2009 and it was updated and expanded in November 2011. 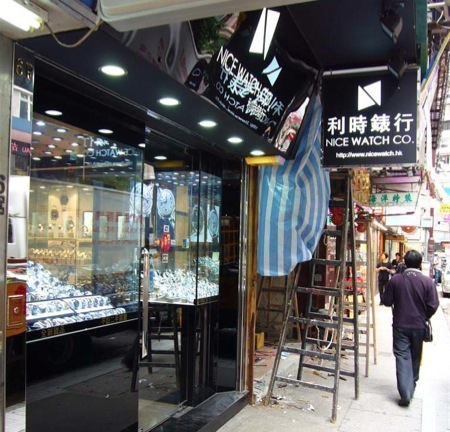 Our plan was to concentrate on used watch shops, with an eye on vintage and rare pieces, mostly around Tsim Sha Tsu (TST), although we also strayed off the beaten track a little up to Mong Kok and to the Island as well. 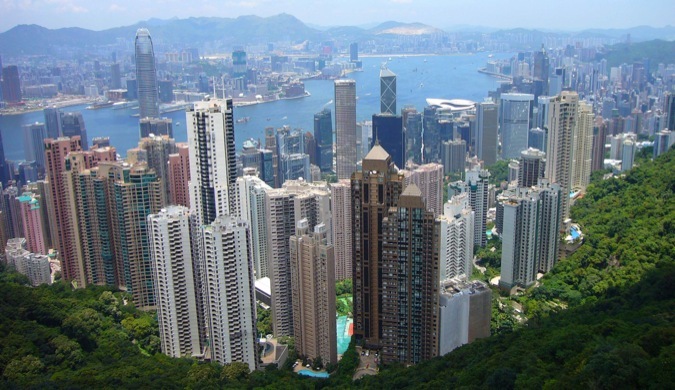 We think that you should be able to work out a plan of action to visit many of these places, even if you’re only stopping off in Hong Kong for a few hours or have time in an evening after business meetings. If you want to work your visits in sections, which would take a few hours each, we suggest starting around the lower TST area and then up along Nathan Road. 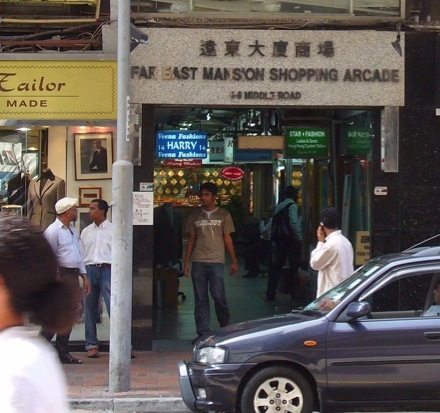 Whilst avoiding the tailor touts and copy watch sellers and skirting past Chungking mansions (we’ve never felt that there was much of any use for a tourist WIS in there to be honest) through the back around Carnarvon Road and then through Kimberly road back to Nathan Rd. 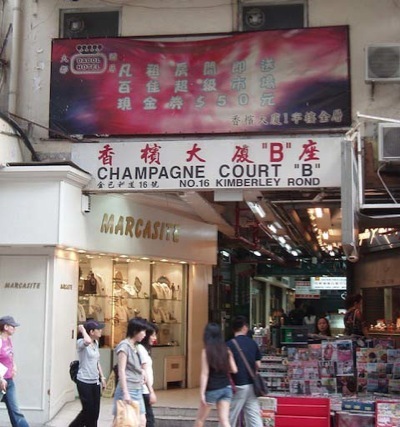 We also journeyed up to Mong Kok which took some time and wasn’t that fruitful, and also travelled across to the island, where we wandered Des Voeux to the Cat Street Market area, and back to the ferry via Queens Road, which was much more fun. 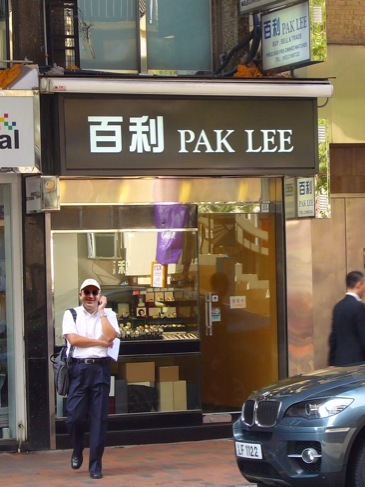 Naturally, this page isn’t conclusive of what’s on offer in Hong Kong, but it at least gives some pointers for those WIS travellers on a mission! House Co. In the Far East Mansions. John Lee is a brilliant guy with a great collection on display. He’s only too happy to sit and chat and the hours passed quickly with him. Bear in mind John gets to work late (4-ish is early for him) but he stays quite late most nights. 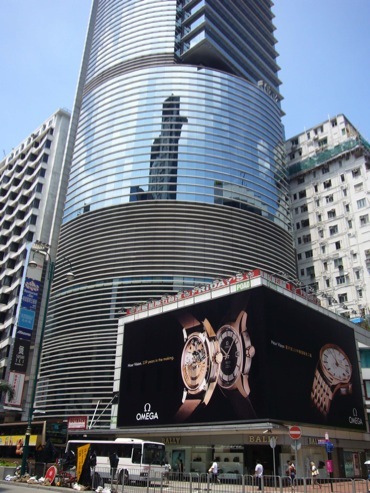 The Hong Kong market is often swayed in the favour of Rolex and it’s nice to see some vintage Omegas for a change. 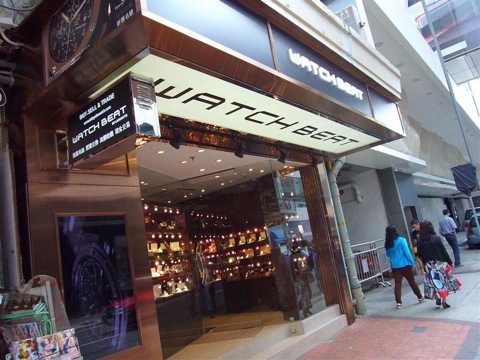 WatchNavi – Shop Address: Shop 115, 1/F., In's Point, 530-544 Nathan Road, Yau Ma Tei, Kowloon, Hong Kong - An ebay seller. Not really sure what he had but after an exhausting trip away from the more normal touristy TST up to Mong Kok, we were a little disappointed to find he was closed. Mong Kok is a cheaper area so perhaps he had some better prices than his ebay listings and we could have had a good deal, but never found out. Shame. 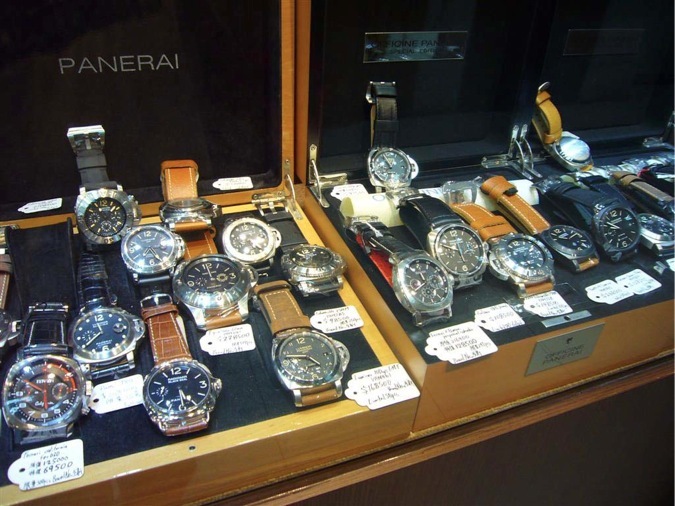 Here you will find lots, and we mean LOTS, of recent Rolex, Panerai, AP, Patek, GO and many other watch brands are represented here at good prices over new. We looked in a number of the shops and whilst the staff didn’t seem that friendly the prices were slightly better than the Holiday Inn. You could spend a lot of time mooching about here, as there are multiple shops with many many watches. Most of the time these shops will quote you a better price than the ticket if you ask, but they will state that it is ‘for cash...’ That’s not really very helpful for a tourist. Sadly we didn’t bring 90,000 HK$ in used bills with us, in fact if we had we expect we’d have been arrested for money trafficking at customs. Ok, joking aside, this is more for Cheque or money transfer sales for locals, but as you cant do that speedily ‘in country’ without a HK bank account it is rather academic. Anyway the HK$500 they usually discount isn’t big enough to worry about and you should haggle more if you really want something... So, always ask for a better price, you never know… you might get it! Well you cant usually go wrong with buying new in Hong Kong as there is almost always some discount to be had even on the already tax free prices. Whilst this discount seems to be slowly eroding over time, typically Rolex and Tudor is 5% (was 8% in 2008 and 10% in 2007), Omega 10%, Breitling 25% (30% in 2009) etc etc. The Boutique shops wont discount at all (like any Boutique in any city in the world) so look for a normal AD. Limited and hard to find watches are usually not discounted at all, so don’t expect to get a discount on something like a stainless steel Daytona, in fact we would be very surprised if you even found one at an AD. 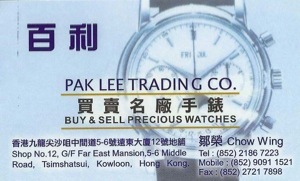 However saying that you can usually find ‘hard to find’ or ‘wait list only’ watches in HK that you might not see in other countries, examples of those are Rolex limited production watches, IWC Big Pilot and of course models so far up the ranges of GO, Patek and AP that your sticky fingers would have to be sanitised before handling them back home, and that’s only if your AD deigned to let you into the shop! One thing we have noticed is that locals and those with strong haggling skills can improve on the standard discounts, but many (most!) ADs will stick to the standard discount rules as outlined above. 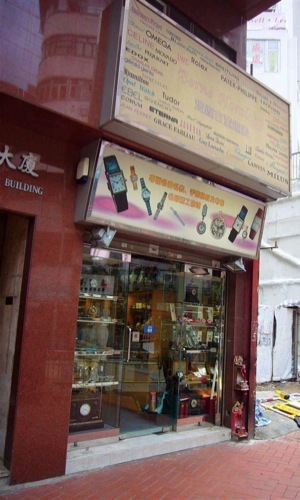 Hong Kong has many pawn brokers which are easy to spot if you know to look for the batwings logo outside the door, but we found most to be as expensive as the shops and many watches like Rolex had no box/papers. We also think you need to seriously know what you’re doing with these shops, so unless you do perhaps its best you stay away. 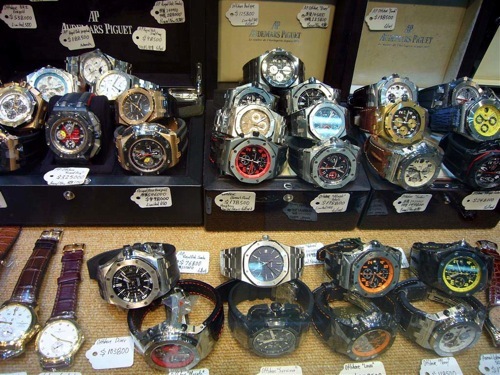 To avoid bait-n-switch and warranty issues, brand new modern watches should only be bought from ADs and the huge watch chain stores are good bets, maybe the discount is pre set, but you will get what you expected with the product. 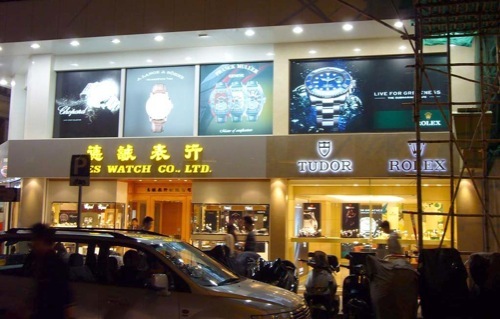 Between Zurich Watch, Emperor Watch and Jewellery, Chow Tai Fook, Yes Watch, and Carlson you should be able to find the brands you want. 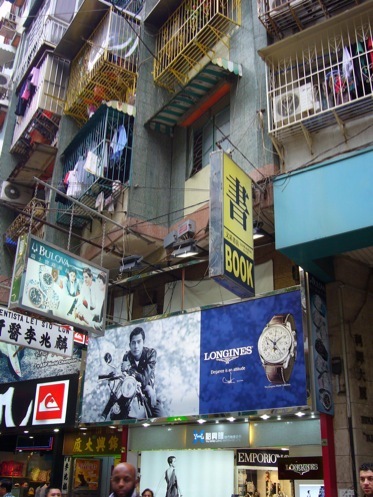 We head back onto Nathan road and up past some wonderful modern watch shops, Chunking Mansions and all the Touts and turn into the hotel just before Mody Road. 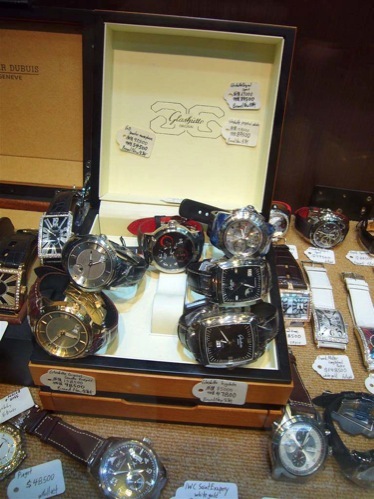 This hotel has a basement mall (head down the escalator) that houses some very nice shops including a number of watch shops, most of which sell pre-owned as well as new watches, however most are modern and not vintage. 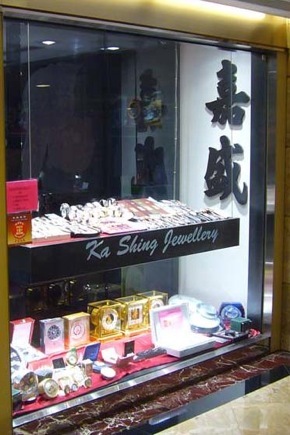 Other Holiday Inn shops include; V-Watch Collector Ltd, Montres, Ka Shing Jewelery, Happywise Watch and Jewelery Co. And whilst those shop names sometimes come and go they generally offer a good selection of recent used watches along with nice friendly staff and are worth a visit. There are many modern and also small shops along this road and around this area, the smaller ones tend to come and go based probably on rents. 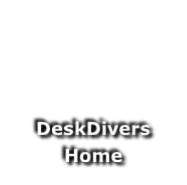 As many of you may be aware, DeskDivers is multinational and with all our members living in different countries we often have to travel to meet up and work together. When we do that we like to go watch shopping as we’re sure you all do too. Sadly we found it hard to find information about the watch shops in various big cities online and we assume that we are not the only ones. To try and remedy this we decided that we should start to add pages to the DeskDivers website that outline at least some of what we found when looking for vintage watches on our travels in the hope it might help those who visit these places. In the future we hope to bring you information on Singapore, Paris, London and Sydney. If you know of any more shops and think we should include them in a follow up to this review then please do send the information in. We cant promise to add them quickly or make changes to this page often as we don’t travel to all these cities that often, but we will update it as and when more info comes to light. If you’re one of the shops we reviewed and don’t like what we said, well... maybe you should make some changes instead of getting upset with us?! we only write what we felt when we came through your door. 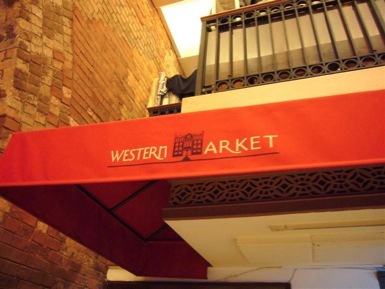 -These reviews are our opinion and as said we are just reviewing each shop as we saw it on one or two visits. Mody road also includes Watch Beat, which is worth a look, and a DeskDivers old fave, HMS Watches, which was originally based in Carnarvon Road when we mentioned it first and has now relocated here. From what started out as a couple of nice blokes in a small shop who always seemed to be eating when we dropped in, they have grown into a larger shop. 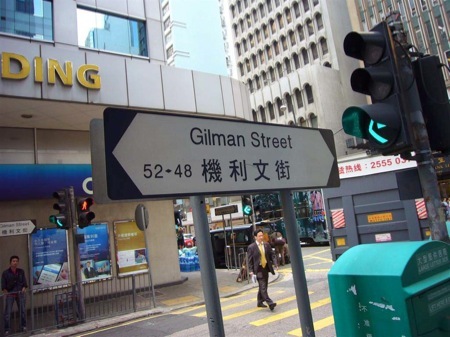 At some point whilst still on the mainland, especially when checking out the brand boutiques on Canton Road and inside the Ocean Terminal Mall, or the various tailors/food joints and shops in TST near the Peninsular Hotel. Its worth tracking down TSE’s Collection in a small laneway, just off Hankow Rd. 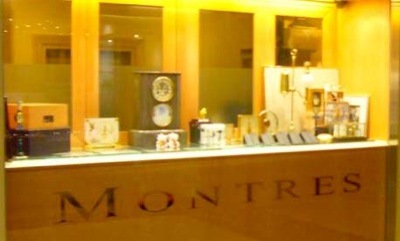 This is another ‘used modern’ watch shop, but occasionally has some nice vintage pieces. However one shop that sells jewellery and jade does offer some vintage stock when it has it, though it’s a fair walk for not much gain. What that walk does allow is for you to amble your way down to the right area for an assault up the stairs to Cat Street…. 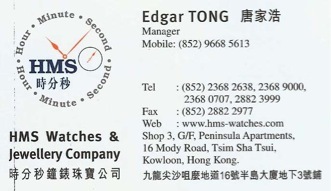 If you fly through Hong Kong and have time to shop for new watches at the airport you’re in luck as the prices are the same as in the ADs in town and discount can also sometimes be had. 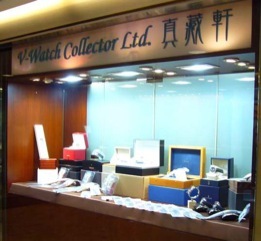 Some rare and hard to find watches are in those cabinets and the IWC Boutique often has limited edition Portuguese, Pilot, and Aquatimer models, however beware the hard sell of the sales staff, one older guy in particular is seriously hard work at this store. IWC will not discount but will offer you a free spare strap. 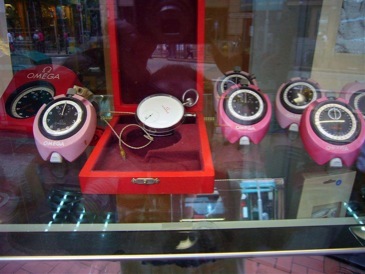 The JLC airport Boutique is also flush with hard to find models but also didn’t want to talk discount. The more usual generic airport shops with multi brands will be more accommodating depending on the brand and model. Another airport tip is to avoid the fast food and head to the Chinese restaurant for DimSum, its ready in 20mins and a much more satisfying experience than fighting in a queue for take aways. One of the many at this location. 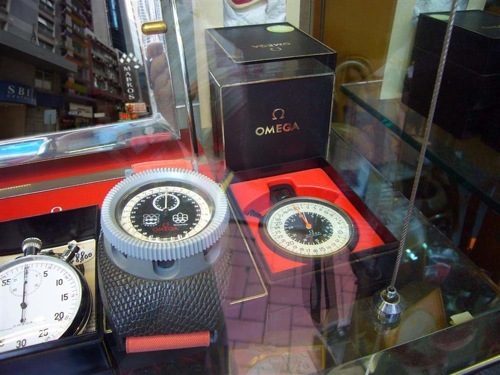 The owner is Wing Man (brother of the famous Fred Man who originally set up FVW in Sydney) and his shop had some cracking watches that you don’t often see; examples of the Omega PloProf, Seamaster 1000m and other cool vintage watches have been in the cases over the years. 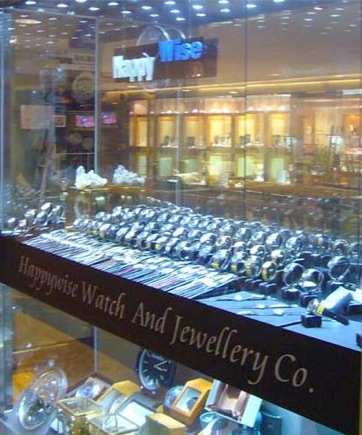 The ground floor of the Holiday Inn has a number of watch shops on the side of the building shared with Mody Road. It’s a good idea to leave by the way you came in and walk down Mody Road and check out the action in the window displays. 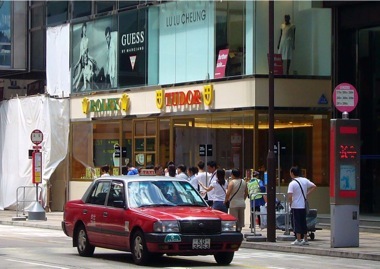 Mody Road is also now home to a number of Brand boutiques as this area has been somewhat up and coming in recent years with the arrival of a new mall at the far end. 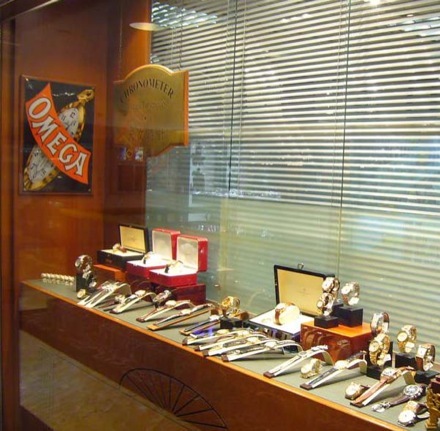 The boutiques include Glashutte Original and Omega amongst others. HMS originally had a good selection of vintage and modern pieces but sadly the really nice Rolex watches (Daytona especially) in the display cases inside were not for sale, not that we could have afforded them anyway! These days they concentrate more on the modern used market but some gems were still in evidence when we visited. 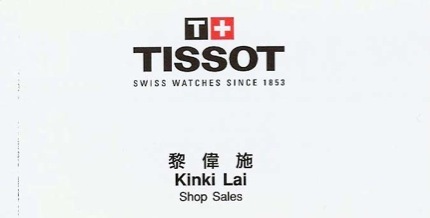 Nice Watch Co was worth a look last time we visited as is the Tissot Boutique where we were served by the gorgeous and rather provocatively named Kinki Lai no less! This uninspiring building doesn’t look like it would hold much promise, but on closer inspection it is chock full of watch shops selling mostly used modern watches but occasionally you can find some vintage gems. If you’ve ever wanted to window shop the rare and hard to find models of brands like AP, GO and Panerai, then Union Classic is for you. 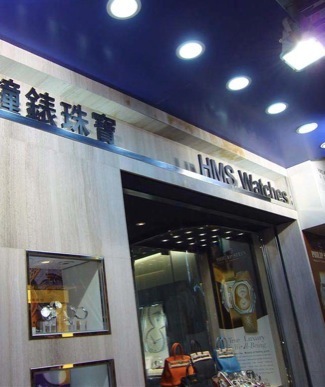 Their window displays may be badly done, yet any WIS can see that they contain $millions of valuable watches. We left feeling a little jaded by the presentation, but pleased we’d been able to see and touch some models that we could never have found elsewhere. 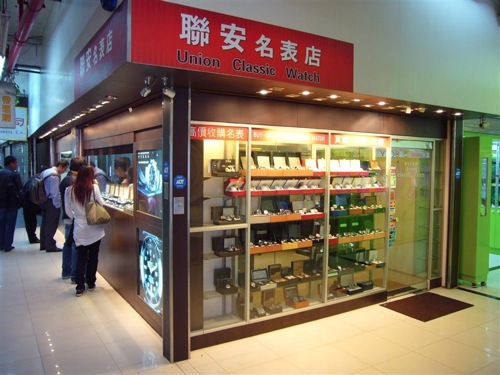 We think that if time were short, in our opinion, along with the corner store at the back of the building that sells mostly vintage dress watches, Union Classic watch is absolutely worth a look. At this point we caught the Star Ferry over to the Island, a cheap and uplifting journey you should make at least once in your life – you can take the MTR but why would you?! 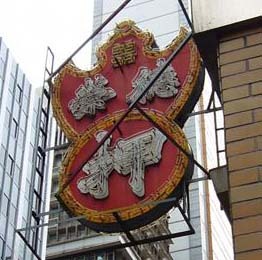 Walking past IFC, and heading to Des Voeux Rd avoiding the plethora of Carlson, Chow Tia Fook, Yes Watch and other brand new watch dealers. 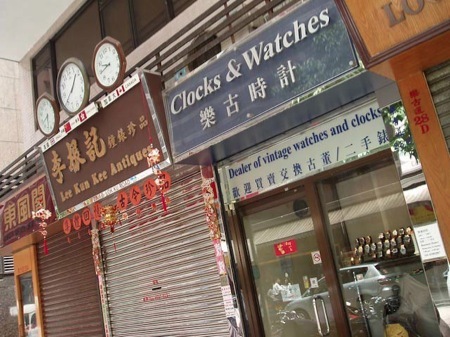 We always considered that the Western Market would make a great place for vintage watches, but no one in Hong Kong seems to agree. 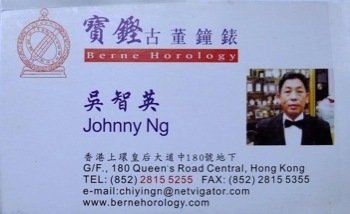 Berne Horology - We have to say in the past few years of visiting Hong Kong and this shop, it’s not changed much at all. 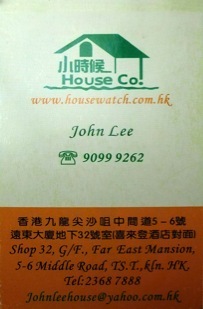 In all that time we found it to be the least exciting watch shop even though it always offers much promise. 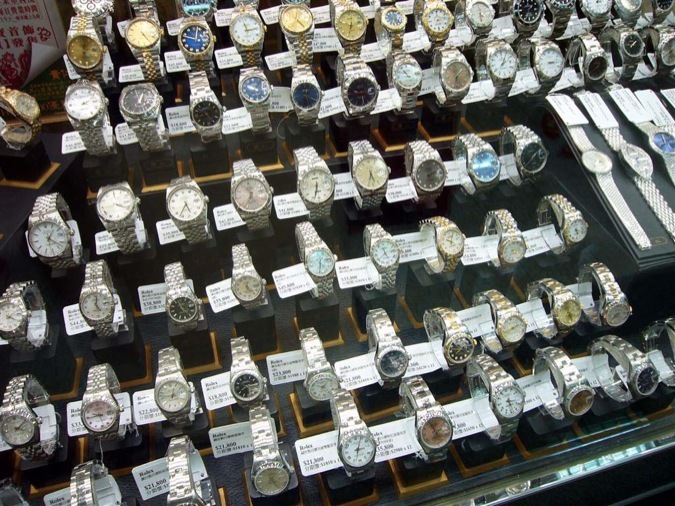 It’s a small shop that is crammed full of old watches, but most are small 1950s items and hardly any divers watches have ever been on sale. 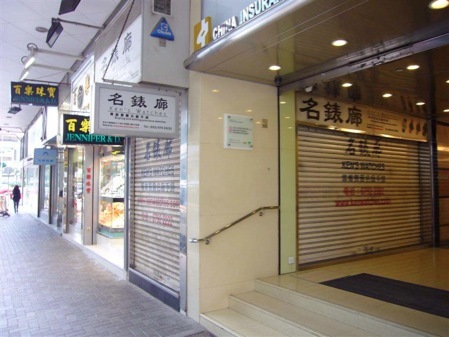 It also has the rudest staff of any shop in Hong Kong, and yes we’ve met a number of the staff (including the owner) and never been impressed over 5 years of visits. In our mind the best of these modern shops if only for pure range (over 40 brands stocked!) 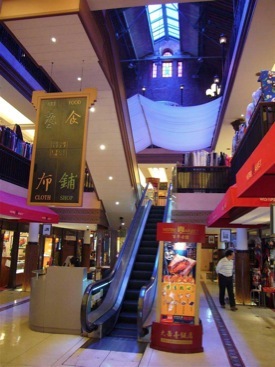 is the Oriental Watch Company store at 100 Queens Road, which is easy to find as it is next to the escalator. 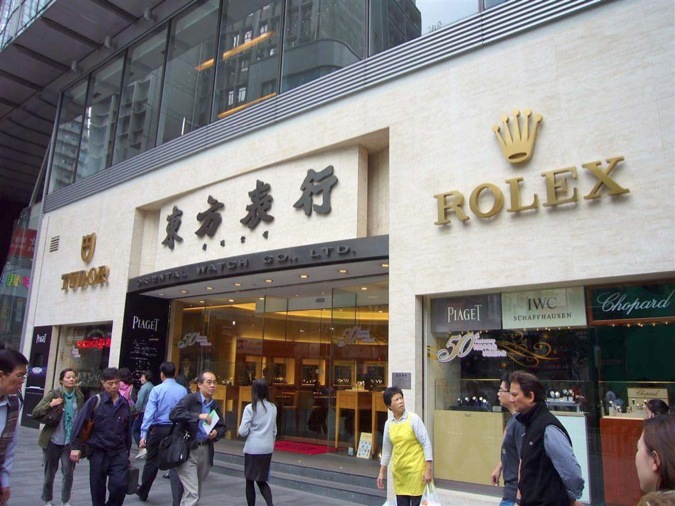 It has a vast basement with numerous brands under the more normal Rolex/Tudor display in the upstairs lobby (that leads to brand like IWC, Omega JLC etc). This is the place to finally get your hands on oft hard to locate brands (e.g. Titanic DNA) and also those massive ‘watch box clocks’ and wine storage units! 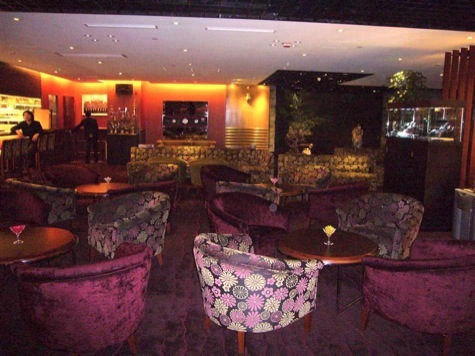 The store also has an area laid out like a lounge and is one of the most relaxing high class places ever to buy your new watch, highly recommended that you visit it and feel free to mention DeskDivers when you do, they are fans of the site!